He has plenty of junior hockey eligibility ahead of him. 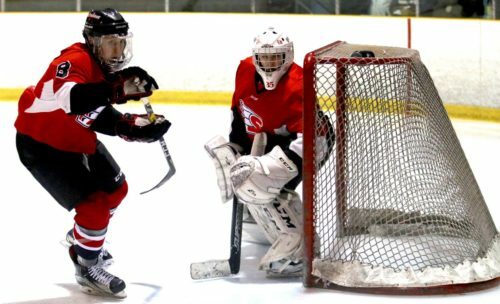 And there are scouts in the Ontario Hockey League and North American Hockey League who are taking notes on Gabe Rosek, a 2001 birth year goalie with the AAA midget Soo Indians. The 6-foot, 160-pound Rosek, who hails from Lansing, Michigan, has seen been the goalie of record in 14 games for the Indians this season as the backup to Dakota Meyer, who is a year older with a 2000 birth date. PHOTO: Goalie Gabe Rosek, in action with the AAA midget Soo Indians.